Wednesday, March 28th @ 4:45pm - 6:00pm. By appointment only. Spaces will fill up fast! 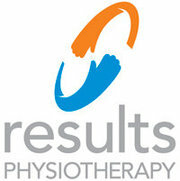 Results Physiotherapy offers world-class physical therapy, a ground-breaking advance over the old exercise-only treatments. International studies prove our hands-on approach yields faster pain relief and more lasting recovery. Our licensed therapists are trained in the newest, evidence-based techniques from around the world, combining the best of traditional physical therapy with expert hands-on release of muscle and joint tension. Not only does our therapy bring better results, it also just feels better.